March 15th is upon us, which means it is officially the ides of March, or middle of the month. Of course, this statement has much deeper meaning than just professing the date. 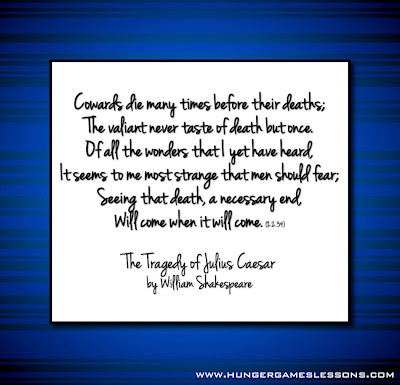 It is the day Julius Caesar was stabbed 23 times--and warned almost as many times--in William Shakespeare's play The Tragedy of Julius Caesar. 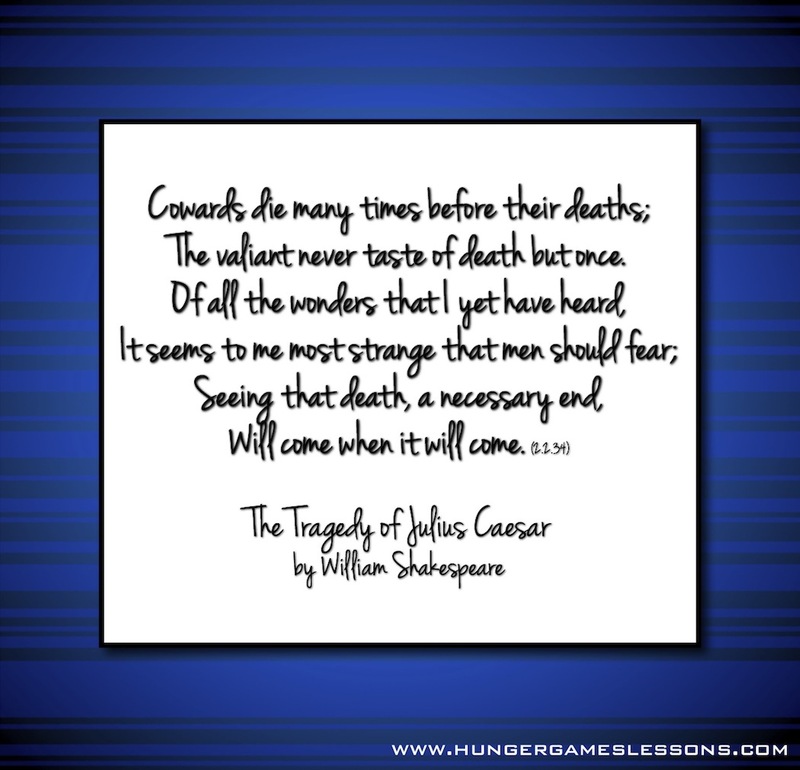 Also, you can find many connections between The Hunger Games trilogy (in particular Mockingjay) and Shakespeare's The Tragedy of Julius Caesar. Julius Caesar was not the only character who lost his life in a brutal manner on the ides of March. Cinna the poet is also brutally attacked for having the same name as a conspirator. Even after finding out he is not a conspirator, the angry mob murders him "for his bad verses." Re-read page 334 of Mockingjay--in particular about the "unfortunate incident." Coincidence? I think not. There are so many allusions like this in the trilogy, which makes it all the more interesting when you re-read the series. 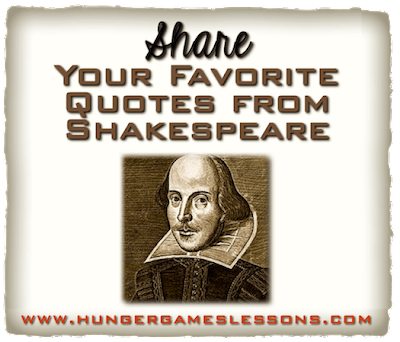 So today, on the ides of March, let's celebrate the richness of literature and share our favorite quotes from Shakespeare and/or The Hunger Games trilogy. Please add yours in the comments below. Caesar's response to Calpurnia when she is urging him to stay home. 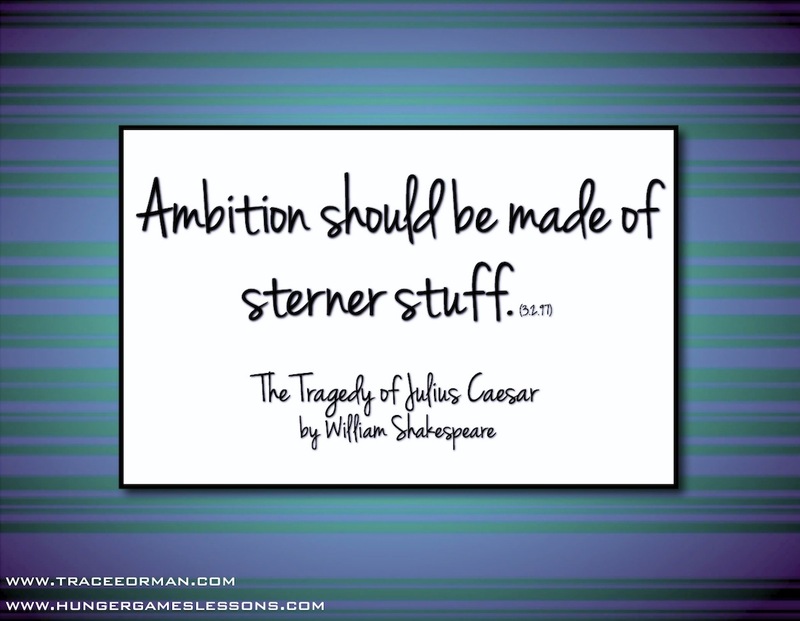 From Mark Antony's funeral speech. 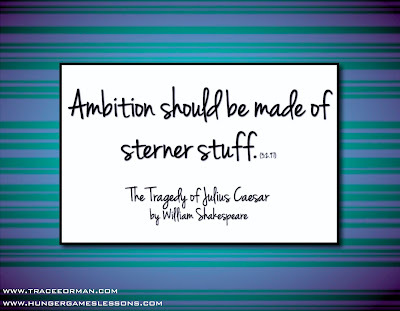 You can find materials for both Julius Caesar and Mockingjay (with connections to Caesar) in my Teachers Pay Teachers store. Font in images by Kimberly Geswein.